Make a statement in a child's room or decorate for a party with our coloful felt garlands. Each garland is about 3-4 feet long and can be hooked together with ball and loops to create strands as long as needed. 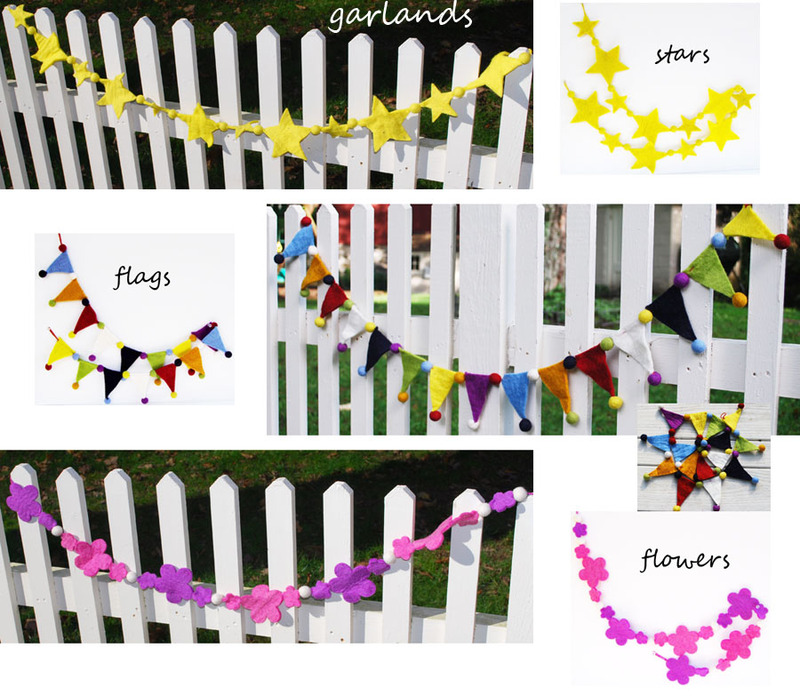 Garlands are made from 100% wool felt and are sold seperately, choice of star, flower or flag.